Faster time-to-market – IoT solutions don’t have to be complex. Build and provision solutions faster with Windows IoT, integrated by design with Azure IoT. Intelligent Security – Protect your devices and data from device to cloud with the latest security advances in Windows 10 built-in and always up to date. Intelligent Edge – Data has gravity, with machine learning capabilities on the device, you can gain insight and take action to reduce costs and increase efficiency. Cloud integration – The best support for integrated Azure IoT as well as support for Azure IoT Edge. Microsoft rebranded “Windows Embedded” to “Windows IoT” starting with the release of embedded versions of Windows 10. 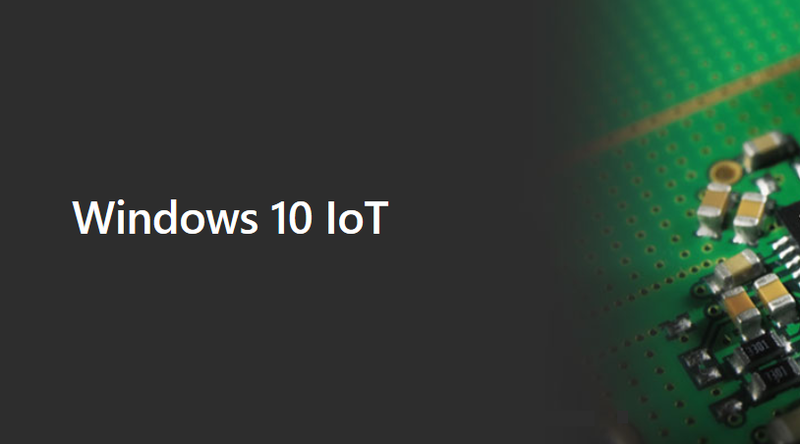 Enterprise – Windows 10 IoT Enterprise, based on Windows 10 Enterprise LTSC/LTSB, is the successor to both Embedded Industry and Embedded Standard with plain unlabeled, Retail/Thin Client, Tablet, and Small Tablet versions available; differing only in licensing. Mobile– Windows 10 IoT Mobile, based on Windows 10 Mobile, is the successor to Embedded Handheld. Mobile Enterprise – Windows 10 IoT Mobile Enterprise adds ARM support, multiple user profiles, advanced lockdown, and other capabilities, but is otherwise identical to the normal Mobile version. Core – Windows 10 IoT Core is considered by some to be the successor to Windows Embedded Compact, although it maintains very little compatibility with it. Optimized for smaller and lower-cost industry devices, it is also provided free of charge for use in devices like the Raspberry Pi for hobbyist use. Core Pro – Windows 10 IoT Core Pro provides the ability to defer and control updates and is licensed only via distributors; it is otherwise identical to the normal IoT Core version. Earlier this year, Microsoft and NXP announced a private preview of Windows 10 IoT Core on NXP i.MX6 and i.MX7 applications processor families. Hundreds of participants expressed their interest in the combination of 10 years of Windows security updates and the flexibility and reliability of NXP silicon. 10 years of Windows OS support via the Windows Long-Term Servicing Channel (LTSC) which provides quality updates to keep device security up to date. Devices using the LTSC release won’t receive feature updates, enabling them to focus on stability by minimizing changes to the base operating system. Microsoft typically offers new LTSC releases every two to three years, with each release supported over a 10-year lifecycle. Update control with the newly announced Device Update Center (DUC) which provides the ability to create, customize, and control device updates. These updates are distributed by the same Content Distribution Network (CDN) as Windows Update which is used daily by millions of Windows customers around the world. Updates can be applied to the operating system, device drivers, as well as OEM-specific applications and files. Updates can be flighted to test devices prior to broader distribution. Device Health Attestation (DHA) enables enterprises and OEMs to raise the security bar of their organization with hardware-attested security. Evaluating the trustworthiness of a device at boot is essential for a trusted IoT system and a device cannot attest to its own trustworthiness. Instead, this must be done by an external entity such as DHA Azure cloud service. This service evaluates device health and can be combined with a device management system, such as Azure IoT Device Management. With this, you can take actions, for example, re-imaging the device, denying network access or creating a service ticket.